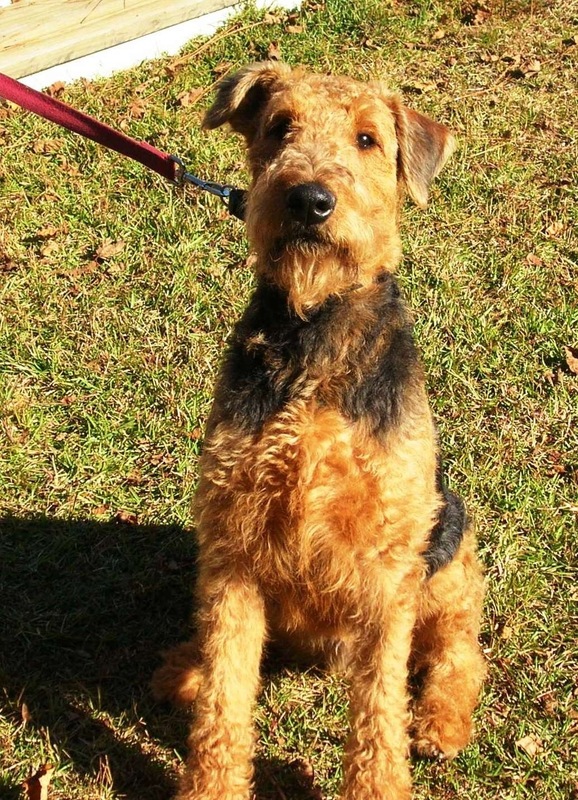 Riley came to ARG at less than 2 years old with the name of Rowdy. Boy did he live up to his name of Rowdy! Rowdy turned into Riley and he will certainly live ‘the life of Riley’ in his ARG home. Riley will be receiving a lot of discipline, exercise in his new home. 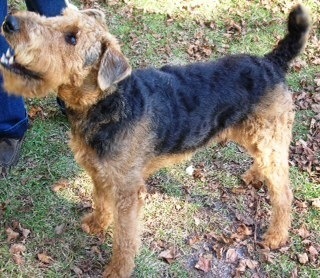 Especially with his airedale sister in charge, who will keep him in line and nice and tired.